The Tibetan Buddhist tradition is rich with advice to help us to transform our ordinary frustrating and challenging experiences of difficulties into opportunities to enhance our spiritual development. In this teaching, Don Handrick will discuss the practical and powerful techniques of lojong (mind training) that can help us develop a different attitude towards the problems in our lives and thus see them not as obstacles but as beneficial and useful elements of the path. 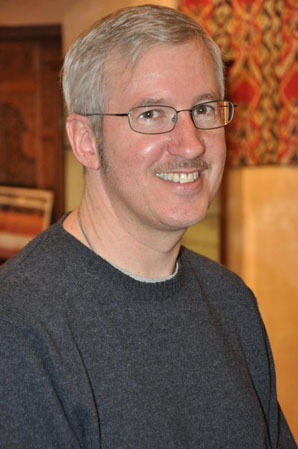 Don Handrick is the resident teacher at Thubten Norbu Ling Buddhist Center in Santa Fe, NM, and he teaches for the FPMT at the Ksitigarbha Tibetan Buddhist Center in Taos, NM. Don also serves as a Buddhist teacher for Liberation Prison Project, which includes teaching Buddhism at a local prison in New Mexico. Don's study and practice of Buddhism began in 1993 when he read The Tibetan Book of Living and Dying by Sogyal Rinpoche. Over the next two years he practiced with Rigpa, Sogyal Rinpoche's organization, until he began attending classes with Venerable Robina Courtin at Tse Chen Ling, the FPMT center in San Francisco.